Jury Convicts 69 Year Old “Doctor” of Medicare Fraud. Two Patients Dead. Medicare fraud is a victimless crime, right? Unfortunately, some folks still see things that way. That attitude may account for why Medicare fraud costs taxpayers tens of billions of dollars each year. Obviously Medicare fraud isn’t a victimless crime since those Medicare dollars come from taxpayers. We work hard so some fraudster can get our hard earned funds. Taxpayers aren’t the only ones suffering. When the fraud involves medically unnecessary treatments or drugs, individual patients can physically suffer. Today, the CEO of a radiology company is facing life in prison after two patients died because of improperly read X-rays. Everyone makes mistakes including doctors. Ordinarily, a physician who misreads an x-ray is guilty of medical malpractice. When the owner of a radiology company directs non-doctors to read and interpret x-rays, ultrasounds and cardiology tests, the behavior becomes a crime. Last month a federal jury in Baltimore found Rafael Chikvashvili PhD guilty of criminal healthcare fraud. Because patients died as a result, he could spend the rest of his life in prison. Testimony suggested that Chikvashvili was using non qualified people to interpret X-rays and submitting phony bills to Medicare simply to make money. Unfortunately his behavior cost two people their lives. Jurors heard testimony that Chikvashvili asked a radiology tech to read X-rays, something he was not qualified to do. (Chikvashvili wasn’t qualified either, he is a mathematician by professsion.) On one occasion, even his tech wasn’t available. Despite being on vacation in Jamaica, Chikvashvili told him to read the x-rays from a laptop and make up false reports. The tech did. Two patients died. The technician, Timothy Emeigh, did not go to trial and instead pleaded guilty last year. Profits over patients. That happens every time a hospital, doctor, or clinic commits Medicare fraud. Prosecutors say the scheme went on for at least 16 years. Could it have been prevented or stopped? Yes. And it appears that the prosecution of Chikvashvili may have been prompted by a whistleblower complaint a few years ago. Since his conviction last month, the court ordered Chikvashvili taken into immediate custody. Incredibly, his lawyers have asked that he be released pending sentencing because he poses “no danger to the community!” Because he is facing two life sentences, the government has asked that he remain behind bars. They also note that he may have both Georgian and Russian citizenship and transferred hundreds of thousands of dollars offshore after the FBI began its investigation. The federal False Claims Act pays whistleblowers for coming forward and reporting Medicare fraud. 30 states and the District of Columbia pay awards for Medicaid fraud. To qualify for an award, you must have an attorney and inside information about healthcare fraud. 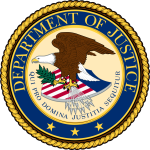 Your attorney will help you file a lawsuit – called a Qui Tam complaint – in federal court. If the lawyers or federal prosecutors are successful in recovering money from the wrongdoer you may earn an award of up to 30$ of what the government collects. In the case of Chikvashvili, prosecutors say he bilked Medicare of $7.5 million. Add triple damages and special penalties and the total recovery could be in the tens of millions. Not a bad payday for saving lives and stopping Medicare fraud. Not everyone gets an award, of course, but many do. Our whistleblower clients have already received over $100 million in awards. If you have information, don’t delay. The law has a “first to file” requirement. That means if you snooze, you may lose.